For our Mini Roos we provide training for all levels and interests. All players will train once per week with their team and have a game on a Saturday morning. U6 and U7 teams will play in-house. 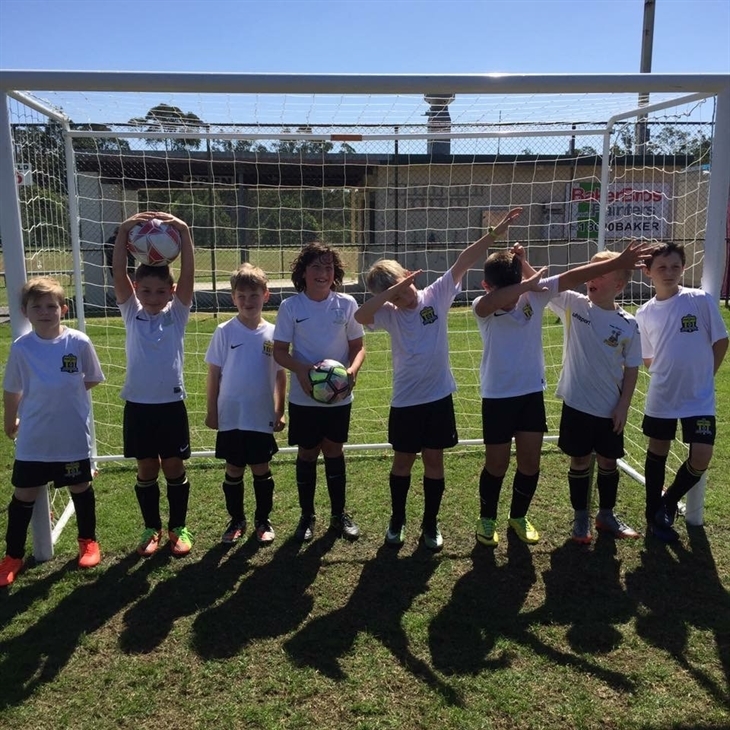 U8 and above will play in local competitions on the north side of Brisbane. Development is available to all players who are interested. Registrations will be requested early in the season, and players will receive an extra training session per week for 16 weeks during the season. Inspire Academy is for those who really have a desire to improve their football. These players will train twice per week, 40 weeks of the year. The costs are higher but not significantly. Full details are available in the Academy booklet posted on the Inspire Academy page on this website. · Players will be graded according to ability from U9 to U12, primarily and secondly requests to play with friends will be considered. · The decision of the technical team is final. · These grading sessions are for Non-Academy players only. · Boys and Girls to attend the grading session for their age group. · There is no Grading for U6 to U8 players. These teams are based around friend requests. 1. Players and parents are to come along at the designated time for their age group. 2. We will not be changing any teams this year on announcement day or thereafter. 3. We will require a team leader for all Mini Roos teams. Expectations of a Team Leader will be available shortly. 4. If we do not get a Team Leader, teams will be unable to train until one is appointed. We are happy if this role is shared. However, we will need contact details for all Leaders. 5. You will meet your team and there will be club information available from club representatives. 6. You will also get the opportunity to ask questions regarding your child’s football at Pine Hills for the 2019 season. Please note it is highly UNLIKELY that we will have fixture information available for the day, as these are outside of our control. At Pine Hills we have a unique approach to Mini Roos Football. At Pine Hills we follow the Intra-Club model for games. The club provides a Head Coach who will provide the coaching session for all players on the specified training evening. We do encourage parents to get involved and help without the need to be a coach. At the end of each session the children will be split into teams and play games. During these games we ask the parents to provide encouragement and support to their child team. There are no parent coaches - we only ask for Parent Leaders for game day. The role for these game leaders is purely to ensure as equal a game playing time as possible for all players on the team. Game day - all players must wear their Pine Hills Kit, football boots, shin pads. They should either bring or purchase from the canteen some water for half time. At U8 and U9 levels we ask for coaches although we may be able to provide some coaches. If parents are keen to be involved they should discuss with our Mini Roos Coordinator. We provide the session plans for all training sessions through the season and provide coaching assistance through our Mini Roos Coaching Director. All those who offer help are required to attend a Grassroots Coaching Course. On Game Day, we ask the Parent Team Leaders to ensure equal game time for all the teams players and to have players rotate all positions including goalkeeper. At U9 we aim to stream players into teams of similar ability levels in line with Football Brisbane competition levels. We are in a local Inter club model for these age groups involving Mitchelton, Samford and Westside. Games are played on a Saturday morning. At this age players are graded into teams of similar playing ability. We may have parent coaches but they are knowledgeable about football and we still provide the training sessions for the coaches. All coaches are required to attend a Skill Acquisition Coaching Course at the clubs expense. Teams will play in Football Brisbane designated competitions, in a local NorthWest Brisbane Hub. Games are on a Saturday morning. For the intra-club model, the individual clubs are responsible for putting players into teams and organising games between those teams each week. This can be done at the beginning of the season so that a player remains with the same team for the whole year and knows in advance which team they are playing against each week. At Pine Hills we encourage flexibility to allow players to be moved between teams if required. It is important to remember the scores count for nothing but the smiles and fun count for everything. Pine Hills FC has three distinct development programs for our Mini Roos Football players. Players included in these programs are aged from U8 to U12. All programs are fully inclusive, although numbers will be capped to 20 players in each age group that registers, due to coach to player ratios. All of these programs are INCLUDED in the cost of registration at Pine Hills FC. This program is run in addition to the each players normal team training. The aim of the program is to significantly improve the skills of our players, in a similar manner to the FFA Skills Acquisition Program. Our overriding aim is to ensure that key foundation stones of the football player are learnt and embedded, in a fun environment. The program follows our own football curriculum, which is directly based upon the FFA National Curriculum, with slight modifications based around the club's football philosophy. All players in this program will be assessed by the development coaches, and reviewed by the Technical Director. U8 - Complete focus on the technical development of the player, specifically on ball mastery, striking the ball and how to beat defenders in 1 v 1 situations. Through this football development, we will also develop the young players motor skills, including their agility and balance. U9 to U10 - Technically we continue to improve the players ball mastery and control using various parts of the body. We ask the players to use feints and fakes and to be confident in possession of the ball. During this period we increase the games from 1 v 1 to 2 v 2 and onto 4 v 4. As the players progress we introduce tactical development, using a diamond formation, and start to challenge decision making, i.e when to pass, when to dribble, when to pass backwards or pass forwards. U11 to U12 - We continue the development of earlier years and look to increase the speed of ball handling, control and passing with various parts of the foot, over various distances along the ground and in the air. Tactically we continue to develop the depth and width elements and focus on playing out from the back. We also develop ball protection and retention of possession through movement, space and positioning. We start this program from the U8 age group. These players will NOT play full time in goal for their team on the weekends games, but will show an aptitude and desire to be a goalkeeper. During this program we develop the basic goalkeeper skills, including the various handling/catching and diving techniques. We also look to improve the players footwork and agility. Through these programs we hope to make the football experience of the young player that much more enjoyable and give them a love for the great game of football.